I love Supreme Court Justice Antonin Scalia. I really do. I may disagree with the way he votes on most things, including his dissent on the landmark gay marriage vote today, but sometimes you have to look past the artist and appreciate his art. In Scalia's case, this is his talent with words. His linguistic prowess is absolutely unmatched. I'm a writer, and I can only dream of one day being able to string together turns of phrase as inimitably incredible as "argle-bargle" and "jiggery-pokery." Luckily for me, my dreams of being able to insult people in a Scalia-esque manner have been realized by the brilliant people over at Slate, who developed a Scalia Insult Generator. It's like the answer to a prayer — a strange, word salad of a prayer. If it sounds like I'm being tongue-in-cheek, I assure you I am not. 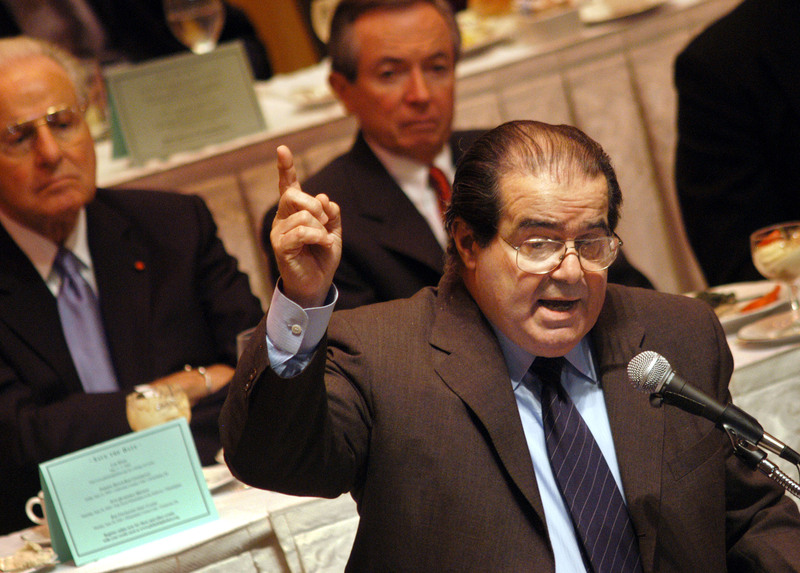 Scalia's talent for coming up with perplexingly hilarious insults is unrivaled, and he clearly recognizes that the best part of insulting someone or something in this particularly abstruse way is that it's a one-two punch: You not only get to insult someone, but you also get to make that person feel stupid because he can't even really understand what you're trying to say. Like, what exactly does it mean for something to be "pure applesauce?" I don't know! But Antonin Scalia does, apparently. All you have to do is type your name into the insult generator and wait for it to work its magic. All of the insults come straight from transcripts, so they're authentic gems right from the Justice's mouth (although some have been edited for clarity, which is hilarious. Can we all take a moment to imagine people sitting down with Antonin Scalia quotes and trying to edit them for clarity?). Conflict between civil government and religious authorities, especially over control of education and church appointments; broadly, conflict between cultures or value systems.